302 Votes - 77% Liked it. 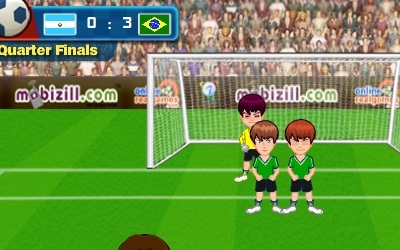 Soccer free kicks game, win all 5 matches to win the cup, control the swing, direction and power of the shoot and win the match. 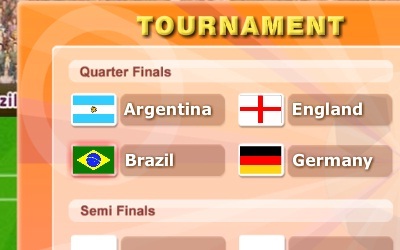 A soccer free kick game, win total of 5 matches to win the tournament - 3 quarter finals, 1 semi finals and finals. First choose your team, and then start playing. Control the game with the mouse, you should click three times on the bottom controls -first for direction, second for swing and third for power.